Okinawa's Endless Summer edition is the latest addition to the Island Guide Free series that together aim to guide both visitors and local residents through Okinawa's fun and exciting events, festivals and fairs while also showcasing the very best in local foods, beverages, products and services. The climate may be cooling off just a tad, but rest assured, Okinawa has plenty to see, do and experience for the rest of the year. In this issue you will find information about event and festival dates and times, the best places to eat and drink, unwind with spa therapy or even entrust with your child's education. Let your summer truly be endless. 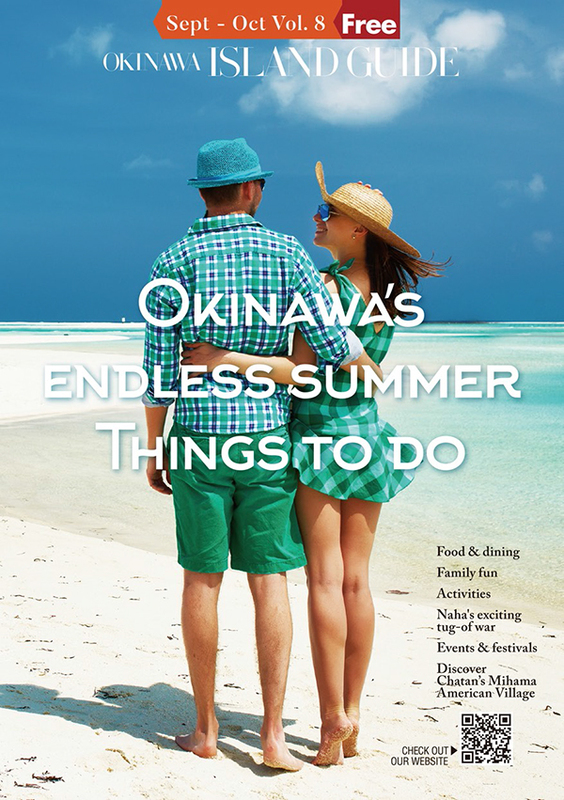 Click here for the complete Okinawa's Endless Summer edition! Kyoto Ramen Kairikiya – ramen, need we say more? Sunny-Net brings the world to you hassle-free and at 1GB/s! Manga Soukou is home to a different kind of fashion!